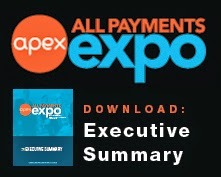 All Payments Expo Europe, the most relevant B2B payments and retail gathering in Europe, is shaping up to be the most relevant international community for prepaid, technology and merchants. This is where executives will hear all-new, peer-led case studies and insights AND get access to brand new consumer research. 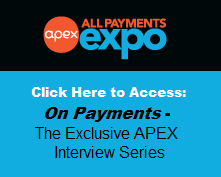 Attracting attendees from 25+ countries, APEX Europe is where retail, mobile, data and technology intersect to grow connected commerce over the course of 3 days, 8+ hours of devoted networking and private, off-the-record sessions. To join these peers and potential partners, sign up here. Register by 17 April to save up to €200! Use the code XU2940BLOG to save. I look forward to seeing you in Marbella this coming May.